Why use Sundicators sun protection wristbands? The greatest means of protection against the sun’s harmful, omnipresent UV rays that you have at your disposal is sunscreen. There’s no better way of safeguarding your exposed skin; at least short of sitting in a windowless room. But is it enough? Well, no. Because the re-application of sunscreen is as important as its initial application. Just as your favorite gum will eventually run out of flavor, so too will the effectiveness run out of your sunscreen. So aside from the impracticality of guessing, how does a person tell when more sunscreen is needed? This is an excellent question we are happy to answer. Sundicators are UV monitoring wristbands that gauge both UVA and UVB exposure. The wearer simply fastens one to his or her wrist, and while applying sunscreen to themselves also applies it to the wristband. That’s it. 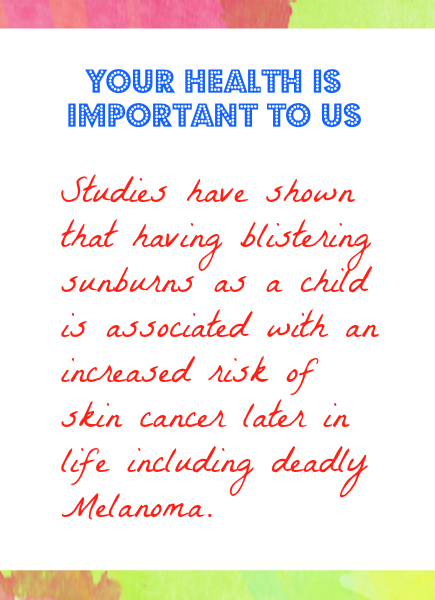 As time spent outdoors in the sun increases, the usefulness of sunscreen wears down. (Sweating or swimming will even accelerate the process.) 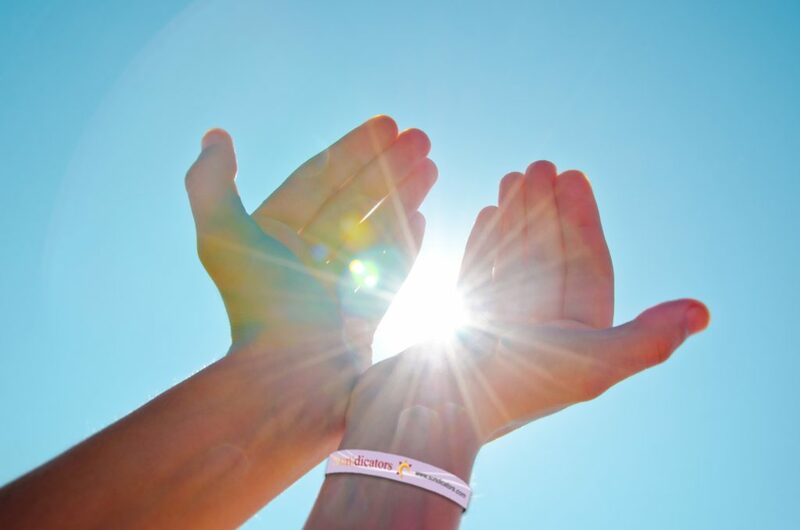 The monitoring technology within Sundicators, combined with the applied sunscreen, causes the wristband to change colors as its sun-shielding impact erodes. This tells the wearer at a glance when to add more. Eventually, it’ll let you know when it’s time to seek shade or just get out of the sun completely. It’s really that simple. Even better, Sundicators are waterproof, unisex and for use by all ages. They’re about the length and weight of a bookmark, which means they can be worn during any and all outdoor activities without interfering with them. They also come in a variety of quantities to fit every need. If you’d like to see more for yourself, please click on the Sundicators link below. Sundicators were initially created in 2012 by Pretty Pale, Inc. Pretty Pale is a 501(c)(3) charitable organization dedicated to Skin Cancer and Melanoma Awareness. It was founded by former model Kerry Lynn Spindler. Kerry is a celebrity fashion and beauty expert who’s also survived an intense battle with Melanoma herself. Her successful fight with that awful disease is what inspired her to do everything within her power to expand Melanoma Awareness around the world. That mission also extends beyond education to include bringing tangible sun-safety products to the public. Thus, Sundicators were born. Skin cancer is the most common type of cancer in the world, and Melanoma is its worst form. Unfortunately, it doesn’t get the same amount of “ink” that other diseases do. Though there are more and more like us who are doing much to open the floodgates in an effort to get sun-safety information and education flowing. In the meantime, help us to help you. Skin cancer is very easy to prevent. It can also be very treatable if caught early. And unlike most other cancers it’s usually visible to the eye right from the start. If not caught early though, Melanoma can be fatal. That’s not a scare tactic; it’s a fact. So with that in mind we ask you not to think of sunscreen as an inconvenience, but rather as an incredibly simple way to prevent the cancer that people the world over acquire more than any other. Thanks!